Taco Tuesday: Shrimp Tacos with a Kick!… Revisited! Spoon all the ingredients into a mason jar. Return the lid and shake vigorously. For this recipe, you will need about 1 Tablespoon. Store the rest. Mix all the ingredients together and chill for 30 minutes. Heat butter on medium in a saute pan. Toss shrimp in rub. Saute for two minutes on each side, no more (the shrimp keeps cooking even when you remove it). Remove the pan from heat and set aside. Heat tortilla, place shrimp on tortilla (about 5-7). Place a scoop of slaw on the shrimp. Squeeze on a lime slice and sprinkle on some cilantro. So simple, so good! It is not hot, but you will feel a ‘little’ heat at the end. If that is a problem for you, just reduce the cayenne amount. The very first photo of the prawn tacos is a winner! good lord! 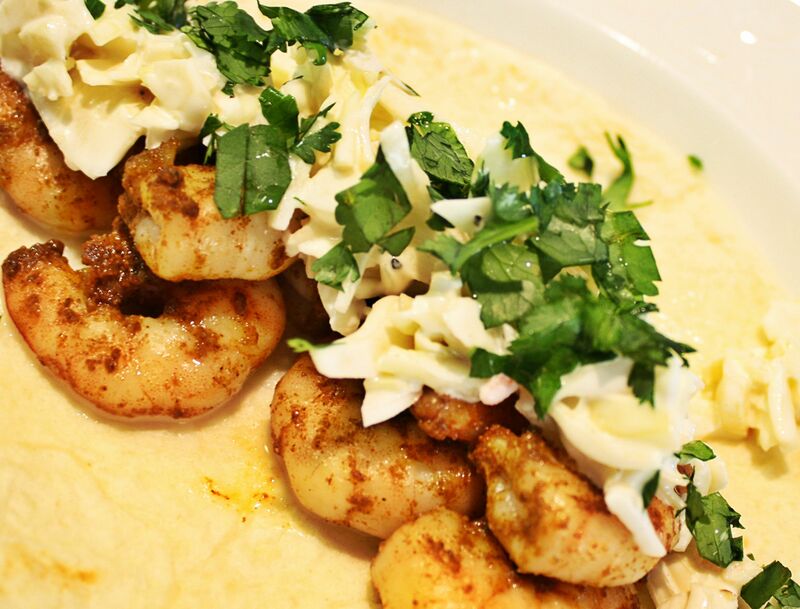 Wish I could order a few of these right now – loooove tacos and prawns! Yum. This recipe sounds delicious. I love shrimp and I love spicy so a winning combination. Awesome! I love seasoning combo for these… So good!